Studio R’s invitations are sold at stationers across the country, from Kansas to New York. However, their home base here in Charleston is where they thrive. The studio has been featured multiple times in Charleston Weddings magazine and Modern Bride. 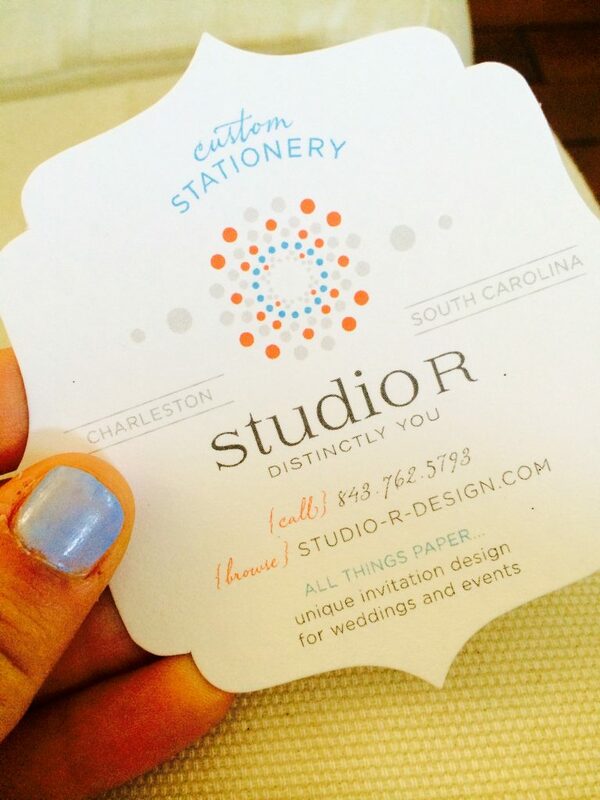 Studio R is a stationary design studio based in historic Charleston. They’re Salthouse’s go-to studio for custom place cards, gift tags, menu signs, and other printed materials we use at events. They began in 2004 and specialize in custom designs for their clients, whether it be an invitation, save-the-date, notecards, or even a coaster. They can draw custom watercolor maps of your event’s geographic location with the most charming details. Booking an appointment with a designer will give them the opportunity to gather inspiration to create a unique design specific to your event.